The Cassapanca Outdoor Chest is your perfect ally if you need to storage items both in your balcony, thanks to its compact and clean style, or in your outdoor space. 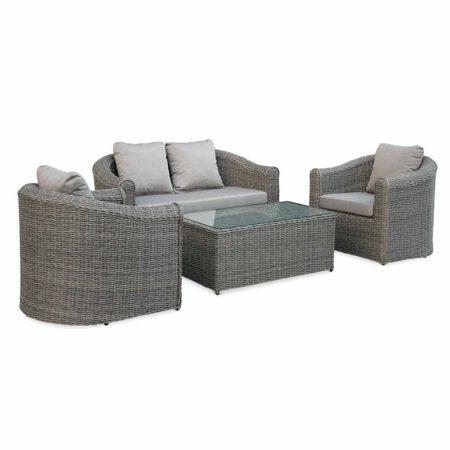 Thanks to his generous volume the Cassapanca is able to store the cushions of your Outdoor Lounge or any other item. The Cassapanca is an Aluminium Outdoor Chest perfect to store items when you lack storage space. 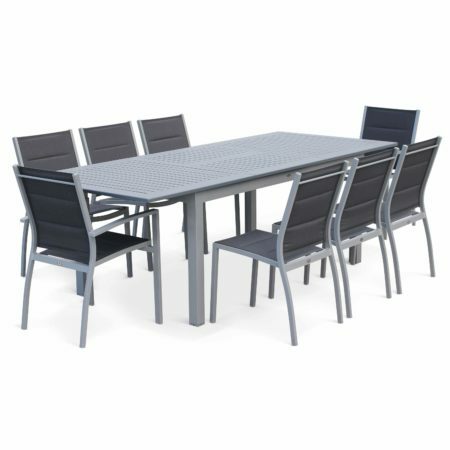 It is guaranteed to be durable thanks to its Aluminium frame which does not rust and its Wicker which is sturdy. This chic, modern material is designed to resist UV rays and poor weather (rain, snow). It fits well for both indoor and outdoor. This practical chest also has wheels and handles for easy movement. It has gas struts to operate the lid to maintain the top panel of the storage box opened as required. Lastly, the Cassapanca comes with inner lining and can be closed with a zip. It also features a polycarbonate lining at the cover to ensure maximum stability and protection from poor weather, so that you can store items inside safely. PLEASE NOTE: There may be some slight differences in colour in comparison to the images as our products are not all manufactured in the same factory or coloured at the same time. In addition, this storage box is water resistant so do not store products sensitive to moisture inside for a too long period.